Latest Sarkari job in Maharasha. 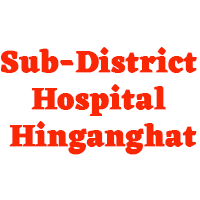 Sub-District Hospital Hinganghat issued notification of date entry operator recruitment 2018. Interest candidates can submit their application 26th Noveer 2018. For further details of the recruitment refer the below details for your information. The age limit of the candidates who apply for the posts should be minimum 18 years. The Department has reserved its decision to give the age relaxation..
Good salary paid for the above mentioned post. Eeligible candidate should submit the complete document before the date and time given in the prescribed format of the departmental application on below mentioned address.